Vermont Verde Antique Serpentine - The beauty of marble, the durability of granite. - Vermont Verde Antique Serpentine - The beauty of marble, the durability of granite. 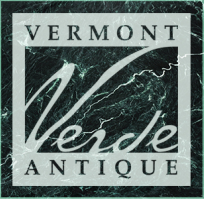 Vermont Verde Antique® is available in both slab and tile form in standard sizes for residential and commercial kitchen and bath countertops, and floors. 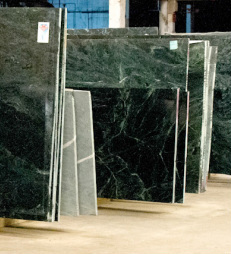 With our own processing facility in Barre, Vermont we can supply custom sizes and different finishes, with short lead times - from small scale local kitchens, to major international architectural projects.